What do you get when you combine a fast-growing strain of largemouth bass, hatchery-stocked rainbow trout, intense fishing pressure and a tackle box full of baits that the bass ignore? The answer is Castaic Swim Baits! It was not unheard of for a dozen boats to be waiting in line to ­fish a given piece of structure. Thanks to a steady diet of rainbow trout, the Florida strain bass that were stocked in several California reservoirs had grown to over 20 lbs! Waiting for a chance to hook into one of these hogs was worth it. But, having seen every bait known to man and with gin clear water, these bass were difficult to fool. The breakthrough came on a reservoir named “Castaic,” when a local artist created a rainbow trout look-alike and swim-alike that got the big bass’ attention. Soon, a small group of local anglers began carving their own wood baits to mimic the rainbow trout. Among these men were Ken Huddleston and Chomp Josephite, a couple of die-hard bass anglers with big dreams of record-breaking bass. Their goal was to create baits that were more realistic than the giant A.C. Plug, a lure that during the early 1990s accounted for many huge bass. Some of Huddleston’s early baits were immediately noticed by local anglers, who offered big sums of money on the spot. Huddleston sold one of his first baits for $85. The intent was not to sell the baits; they wanted to catch big bass with them. But after one of these early baits went for $150, the Castaic Lure Company was born. Soon after, to meet demand for the new lures, designer Jason Scott was hired. Scott, a talented angler and designer in his own right, immediately began contributing new ideas to what eventually became Castaic Softbaits. The first bait introduced under the Softbait line was a hard-headed, soft tail hybrid lure, the Castaic Original Sunfish. During a trip to Texas’ famed Lake Fork, Scott’s father, Bob, proved to locals the effectiveness of this new lure outside the realm of California’s deep, clear reservoirs. Despite miserable conditions, the elder Scott boated numerous big bass, including a ten-pound plus giant. Word spread. Sales followed. More new baits came to fruition, including the Castaic Original Trout, Baby Sunfish, Baby Crappie, Gizzard and Threadfin Shad. Each and every new lure caught fish and sold like wildfire. Eventually the Castaic Sunfish was named among Field & Stream’s Top 50 Fishing Lures of All-Time. This historic bait also graced the cover of Field & Stream twice— the March 1998 issue, and again on the May 2000, 50th Anniversary issue. As time passed, and Castaic continued growing, Scott and Huddleston amicably parted ways in August 2001. Scott purchased Huddleston’s half of the business, and continued to grow Castaic Softbaits. Along the way, Scott forged a bond with trophy bass legend Mike Long, who in 2001 caught a 20-pound 12-ounce beast of a largemouth, using a 6-inch “SBT” Castaic Boot Tail swimbait. More innovations followed, building on what had already become the most potent line of swimbaits on the market. Along the way, legendary fisherman from all corners of the world began to notice Castaic. European Pike fishermen are every bit as serious in their quest for monster pike as big bass hunters in America. Soon, giant pike that were thought to have only existed decades ago, if ever, started to be caught in places like the Baltic Sea. At first, word of which lures these monstrous pike were caught on was kept secret, but like most things in fishing, eventually the word got out. Pike in excess of 50 pounds have been caught on Castaic Swimbaits and 40 pounders are very common. For example, it has been accurately estimated that more than 50% of the top 20 pike EVER caught in Germany have been captured on Castaic lures. With literally hundreds of big lure manufacturers, this kind of dominance is astounding and unprecedented in the world of fishing. The groundbreaking Rock Hard Swimbait was a direct result of the friendship between Scott and Long. Scott would tweak a feature here and there. 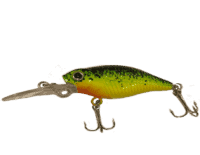 Long would take the lure out and catch another huge bass, then suggest changes. Eventually, the lure was perfected, offering anglers the most authentic look and swimming action ever seen in a fishing lure. 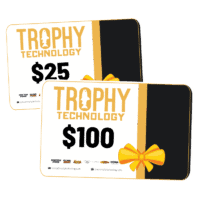 Currently, Castaic is owned and operated by Trophy Technology, Inc. Trophy Tech, one of the most successful and fastest growing fishing tackle companies in the world. With the help of legendary bass lure designer Bob King, we released The Kicker, a lure that has already been responsible for a 19.3 pound Mike Long monster and another at 15+ pounds all within the span of three weeks. The Kicker was described by Tackle Tour as perhaps the most unique swimbait to hit the market in 2011, and the results are already better in terms of monster bass than any lure in recent memory. Additionally we launched The Snakeel, a bait responsible for the capture of numerous giant pike and muskies, as well as some enormous East Coast striped bass. Today, you can obtain your own collection of Castaic Swimbaits. Just like those originals, each and every lure is still hand painted, and crafted to look and swim like a real fish. Unlike the fi­sh, you won’t believe your eyes!